SULFUR gas is also flammable and it is very corrosive to most metals and can even tarnish silverware! The horrible odor is often stronger in the hot water than in the cold water, and most people agree that Sulfur water tastes just plain awful. Sometimes homeowners with Sulfur water try to get used to it & just "live with it", but when their friends or relatives (especially grandchildren & youngsters) visit and take a whiff....PEEEYOOU!! They are sickened and you are so embarrassed! If the "Rotten Egg" smell and taste of SULFUR isn’t bad enough, SULFUR also often stains your pipes, tubs, sinks, appliances, fixtures and clothes anything from YELLOW to BLACK! When this happens, you’ll find yourself spending endless hours and dollars on harsh cleaning supplies & chemicals to keep things looking clean and bright. It’s a losing battle though, unless you eliminate the SULFUR problem at its source...your water supply! Sometimes a well-meaning friend will tell you to just "pour some chlorine down your well", but this is a temporary, and often very dangerous thing to do if you use an excessive amount! Besides, would anyone really want chlorine in their water if they could avoid it? It is very corrosive and can harm your septic system, the environment and your family if you use too much. Our Model OPSX Sulfur Eliminator removes high levels of Hydrogen Sulfide / Sulfur "Rotten Egg" smell for your entire home by using our unique method that requires NO Salt, NO Chlorine and NO Dangerous Chemicals! ALSO, the patented filter material that removes Sulfur LASTS FOR YEARS AND YEARS!! The OPSX is easy to install in your main water supply line (after the pressure tank if you have a well). It comes with a Bypass Valve that just connects between your incoming supply line and your home, and the unit simply plugs into a regular 110 volt outlet. Severe Sulfur is easily removed by the catalytic reaction & filtration of the oxidizing filter material inside the OPSX, all without any air pumps, venturis or messy chlorine or chemicals. All of the Sulfur is captured in the bed of filter material inside the tank. The OPSX then automatically flushes away the Sulfur down the drain or outside. Because we don’t use any salt, chlorine or other chemicals, the backwash is safe for the environment and many people direct the backwash water directly onto their plants or trees. The proprietary valve is digital, has NO METAL parts like almost all other valves (because sulfur loves to "eat" metal! ), and uses an innovative design instead of pistons, seals and spacers like most valves and has a 5 year warranty. The water-saving tank uses 1/3 to 1/2 less water than other mineral tanks & has a 10 year warranty. 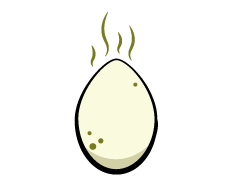 Your water will be clean and fresh smelling throughout your entire home ~ No More Sickening "Rotten Egg" odor!! No more Sulfur stains. Even the taste of your water will improve! NOTE: If you have slight to moderate Sulfur (up to 3 ppm), you may want to consider the CARB-X Moderate Sulfur, Chlorine & Organic Chemical Removal unit. Click here for more information on the CARB-X. If you have Sulfur AND Iron and/or Manganese, you will need our Model IROX-F. Click here for more information on the IROX-F. MMM...THE WATER SMELLS AND TASTES GREAT !! JUST INSTALL IT & FORGET ABOUT IT! Like so many others, Bruce Bernard of Katy, Texas was very impressed with the performance of his Care Free Sulfur Eliminator! "We own a weekend cabin in Columbus, Texas. The water was so smelly that my wife and kids refused to shower there and really didn’t like spending time there because of the horrid Rotten Egg smell. I knew I had to do something. After ordering and installing your Sulfur system I was completely amazed as the smell simply vanished! I had expected (at most) a slight reduction in the smell but was truly amazed that the smell is now completely non-existent! Now my whole family enjoys spending time at our weekend retreat and neighbors that visit (and have the same water source) want to know all about your product. It’s not often that I so readily endorse a product but it is equally infrequent that I find a product that works so well! Thanks for a quality product. I only wish I had known about it sooner."